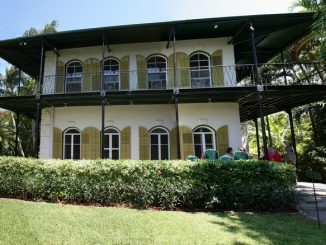 In the sunny beach town of Pensacola, Florida is the Crystal Ice House. What looks like an old timey gas station located just on the other side of a cheerful chain-link fence is actually a vintage ice station. Built in 1932, this little corner shop is the only surviving example of what were four ice houses in Pensacola. Decorated with fake, and not remotely lifelike ice sickles, this small shop screams “come get ice here” for all of the neighbors in a town that at one point did not have loads of ice in everyone’s kitchen. 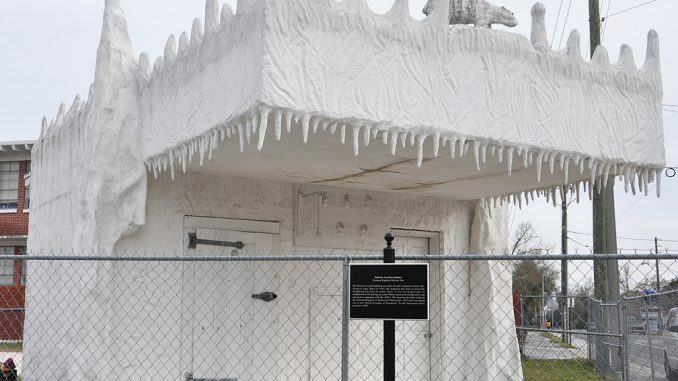 Once it was placed on the list of the National Register of Historic Places in 2007, the Pensacola Crystal Ice House was summarily added to the Seven Wonders of Pensacola by the local newspaper.